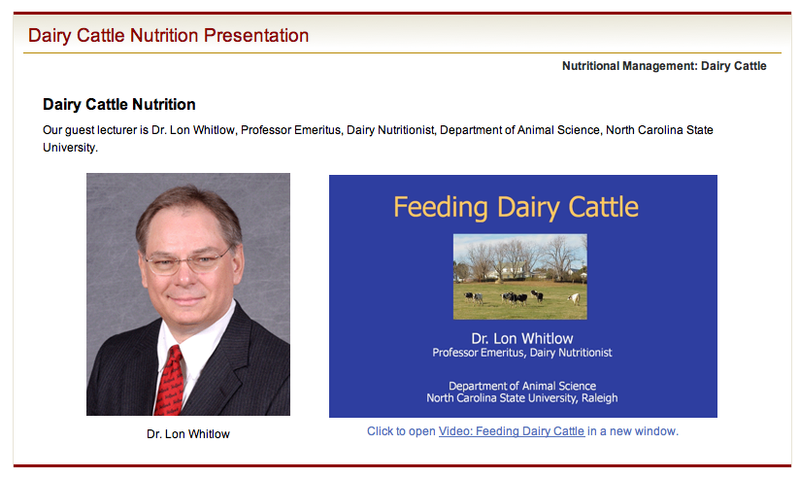 After catching a glimpse of the course in a meeting, I was able to meet with Cathi Phillips for a tour of a project she recently worked on: a Distance Education version of Nutrition of Domestic Animals, ANS 230 (601). 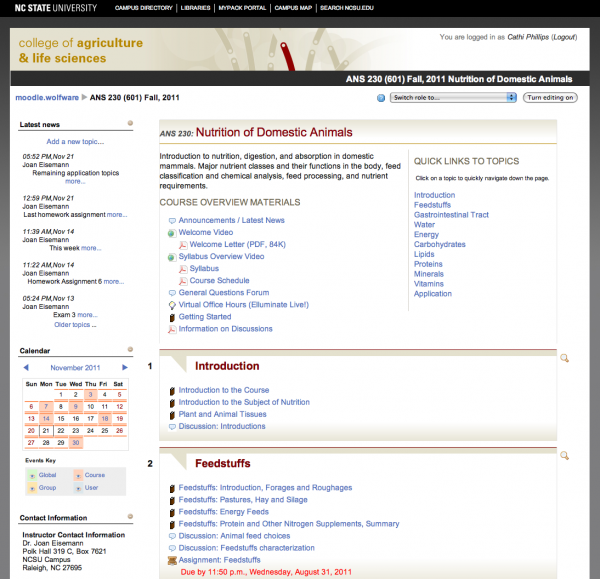 A requirement for Animal Science majors, this course covers topics such as nutrition, digestion, and absorption in domestic animals. The DE course is running live for the first time this semester (Fall ’11) thanks to the hard work of Dr. Joan Eisemann, Dr. Sung Woo Kim, DELTA staff and part-time student workers. 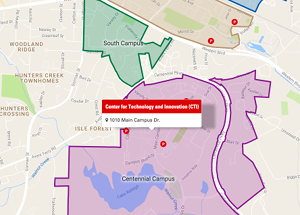 For this IDEA Grant Course, Phillips acted as both the project manager and the instructional designer. While both faculty members helped create the course’s content, only one will teach the course at a time. This fall semester, Dr. Eisemann taught while Dr. Kim observed. Dr. Kim will teach the course in the coming spring semester. The Moodle course is styled using the abstract theme developed for the College of Agriculture and Life Sciences. 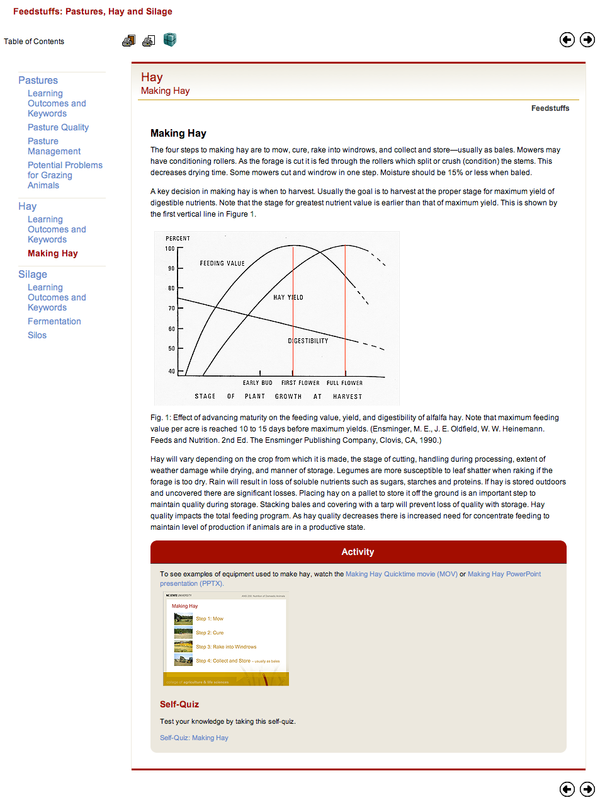 The layout of this Moodle site reflects the overall structure of the course. 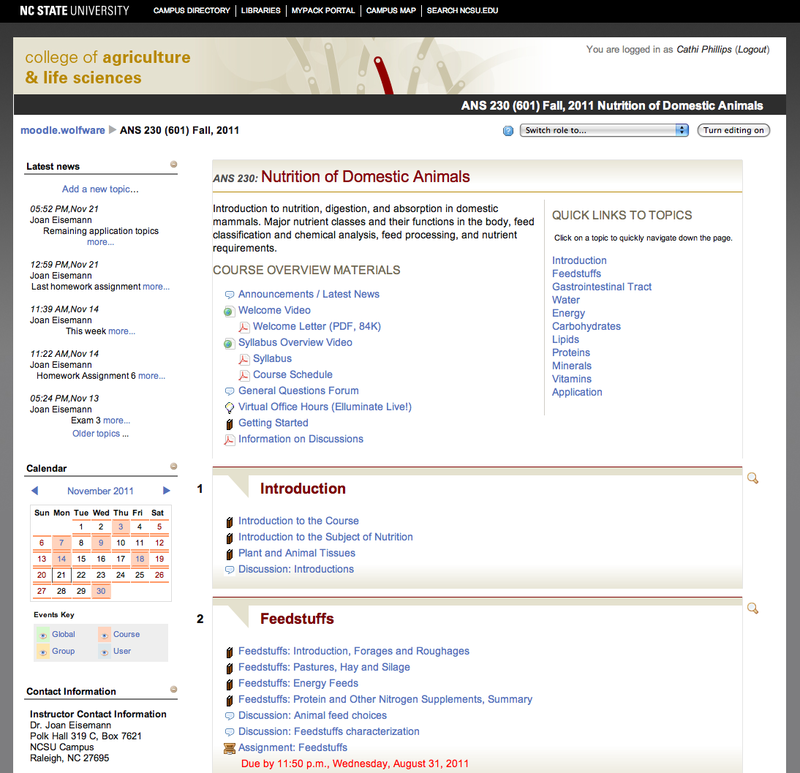 Instead of the typical calendar view, where blocks are broken up by week, the Moodle site for ANS 230-601 is divided into topical blocks containing all related materials. That said, the site still follows the course schedule, with each new topic revealed just as students are finishing up the previous topic. This approach helps students stay on task and focus on the current materials and activities. Time-sensitive elements are denoted in red so that students won’t forget about them. Taking advantage of the increased flexibility of an online course, the site contains a variety of activities and resources, such as Moodle books, animations, videos, activities and discussion forums. With all these different activities, students are able to read, watch, apply, and discuss the course material. In absence of a formal textbook, the course text takes the form of Moodle books. Eisemann and Kim wrote the content, peer-reviewing each other’s work. Divided into different subject categories, these books contain rich content like videos and expandable images. Applying the CALS Abstract College Course Template theme to the Moodle books requires a bit of web design know-how. Phillips, whose previous career is web design, worked with the instructors to convert their draft from plain text and images into Dreamweaver files. 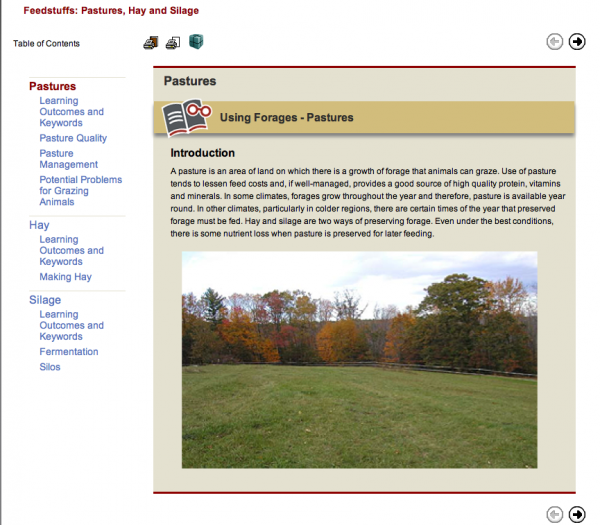 When turning these files into Moodle Books, she added finishing touches like the expanding images that allow multiple images to display together within the limited space of a single page. To ensure that faculty have fully functional pages that can easily be recreated, Phillips is providing a full backup of these Moodle Books as Dreamweaver files. Each book on a category contains learning objectives and keywords to direct students’ reading of the material and allow them to be better prepared for exams. The books also feature small, optional self-quizzes that students can use to evaluate their understanding of the material and get acquainted with Moodle Quizzes, which is used for course exams. Many of the books also contain links to interactive activities that encourage active learning. In addition to the text and images included in the books, Cathi played some of the animations that DELTA student workers created to illustrate concepts that the faculty determined as particularly difficult for students to grasp, such as the digestion of lipids. These narrated flash videos include video bookmarks placed at points where the animation shifts and new content is introduced. Using these navigation tools, student can play back specific sections of the animation to study in more detail. This narrated flash video demonstrates the digestion of lipids. Created over several months by student workers, these animations illustrate four biological processes. To represent the variety of organisms, elements and concepts, the student workers created sets of characters that the faculty reviewed, refined, and approved. The process of working together to design and develop this series of animations proved to be engaging and enlightening to all of the team members, students, faculty and staff. Find out how the animations were created.